WHAT IS A LAND CONSERVATION AGREEMENT? A perpetual land conservation agreement – a legal document known as a conservation easement – is a voluntary legal agreement between a landowner and a land trust, a private, nonprofit land conservation organization such as Black Swamp Conservancy. The agreement permanently limits a property’s uses in order to protect its conservation values. When a person donates or sells a land conservation agreement to a land trust such as our Conservancy, they permanently extinguish certain development rights, while binding future owners of the land to the terms stated in the agreement. Perpetual land conservation agreements help to protect the natural and agricultural lands of northwest Ohio while keeping them in private ownership. Protection may cover productive farmland, wildlife habitat, or scenic views. Most importantly, land conservation agreements ensure permanent protection of the land for the benefit of future generations! HOW DOES A LAND CONSERVATION AGREEMENT WORK? Someone who owns land also “owns” many rights associated with it, such as the rights to harvest timber, to construct a building or paved drive, and to develop the property for residential or commercial use. A landowner may also give up those rights in order to limit its use to agriculture or keep it in its natural condition. Each land conservation agreement must be written with a particular piece of property and its unique characteristics in mind. The agreement may also differ in order to meet the financial and personal needs of the landowner. A land conservation agreement may cover the entire property or just a portion of it, such as the land along the shore of a lake or stream, leaving the option of development open for the remaining part. It may also allow limited construction or development within the area covered by the agreement. WHAT RIGHTS AND DUTIES DOES THE LANDOWNER RETAIN? The landowner retains all rights associated with their property, except for those specifically relinquished or restricted by the land conservation agreement. The landowner still owns the land and can use it in any way that is consistent with the restrictions. For example, the landowner can sell the land, live on it, mortgage it, lease it, or give it to their heirs. The landowner is obligated to pay real estate taxes on the property and ensure that the restrictions are not violated. Future landowners also must follow the land conservation agreement – in perpetuity. WHAT IS THE CONSERVANCY RESPONSIBLE FOR? A land trust such as Black Swamp Conservancy takes on the responsibility to periodically visit the property and ensure compliance with the terms of the land conservation agreement. If a future owner or someone else violates the agreement, we will work to correct the violation and restore the property to the condition it was in before the violation, through legal action if necessary. WHAT RESTRICTIONS CAN BE INCLUDED IN A LAND CONSERVATION AGREEMENT? Each land conservation agreement, like the land it protects, is unique. The terms of the agreement must be precise, detailed and tailored to meet the protection needs of each particular piece of land, as well as the landowner’s specific needs. An agricultural land conservation agreement will prohibit most non-agricultural activities on the land. The agreement covering a natural area will keep the land in its natural state and prevent many types of development. An agreement can include almost any kind of restriction agreed to by the landowner and the land trust. For example, it can require that the land be left completely in its natural state. In other cases, the agreement may restrict subdivision or development of the land but allow activities such as timber harvest or livestock grazing. Even construction of new facilities may be allowed, provided it does not destroy the conservation values of the land or interfere with the conservation purposes of the agreement. DOES A LAND CONSERVATION AGREEMENT OPEN THE PROPERTY TO PUBLIC ACCESS? No. The property remains protected from trespass just as any other private land, unless the owner specifically wishes to allow public access. However, Black Swamp Conservancy does have land conservation agreements with townships and park districts that cover parks and preserves that are open to the public. WHAT IS INVOLVED IN CREATING A LAND CONSERVATION AGREEMENT? The land conservation agreement is created like any other permanent interest in land, by having both parties agree to and sign a legally enforceable document that is filed in the county land records. In order to permanently protect the land and allow the owner maximum tax benefits, land conservation agreements are perpetual in duration – they last forever. The landowner makes known their conservation objectives and their wishes about the permitted and restricted uses of the property. 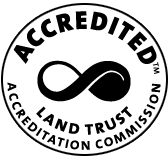 The Conservancy writes the agreement, which the landowner and Conservancy review and revise to describe in detail how the property’s unique conservation values will be protected and to clearly express the landowner’s conservation and financial objectives. The document is written to express the landowner’s wishes about the future use of the land and they retain control. Before the agreement is signed, the condition of the property is documented in a report using maps, photographs and biological inventories. This documentation will help avoid future disagreements or uncertainties that may arise after the land changes ownership. After the agreement is signed, our Conservancy visits the property at least once a year to ensure that all aspects of the conservation agreement are being followed. WHAT DOES IT COST TO ESTABLISH A LAND CONSERVATION AGREEMENT? Permanently protecting their land is a major commitment for any landowner. Because the decision now will have lasting implications for both the landowner and the land, we advise every landowner to consult with legal and financial professionals as they consider their conservation options. The costs vary, but a landowner’s expenses can include attorney’s fees, title work, closing costs and, occasionally, a survey or environmental assessment. Entering into a perpetual land conservation agreement is a major commitment for Black Swamp Conservancy, as well. In addition to upfront costs such as attorney’s fees and staff time, the Conservancy assumes the legal responsibility of permanently protecting the property’s conservation resources through regular visits and legal enforcement if necessary. Because our Conservancy must be able to sustain itself into the future, we ask each landowner who enters into a land conservation agreement to contribute to a permanent Stewardship Fund to ensure that the property will always be protected. Knowing that making that contribution may not always be possible, we invite questions and comments about these guidelines, and hope that landowners will feel free to discuss them with us. If someone enters into a land conservation agreement restricting future development, the fair market value of the land will, in many cases, be reduced. The amount of the reduction in value varies greatly. In general, the greatest reductions result from very restrictive conservation agreements on tracts of developable open space under intense pressure. If the landowner is not compensated for the full amount of the reduction in value, it may qualify as a charitable donation and lead to deductions on the landowner’s income tax return, and reduce property tax and estate taxes, too. However, because tax laws frequently change, we strongly recommend that landowners contact their attorney or tax advisor to discuss their particular situation. In order to qualify as a charitable donation, a land conservation transaction must meet federal tax code requirements. In essence, the agreement must provide a public benefit by permanently protecting important conservation resources. However, a land conservation agreement does not have to cover all of the property, preclude all use or development, or allow public access. Again, please consult your tax and finance professionals. 1. Contact the Land Protection Specialist at Black Swamp Conservancy, by e-mail or by phone at (419) 833-1025. We can help you design a conservation plan that makes the most sense for you, and can put you in touch with attorneys, accountants, and other professionals familiar with perpetual land conservation agreements. 2. Talk with your own legal and financial advisors. You should make decisions affecting the ownership, use, and value of your property only after careful consideration and professional consultation. 3. Read further. There are many publications available that discuss land conservation techniques. 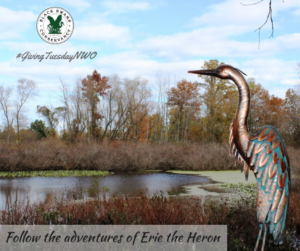 Contact Black Swamp Conservancy at (419)833-1025 or here for information about publications. The Land Trust Alliance also sells several publications and can be contacted at (202) 638-4725 or at www.LTA.org.